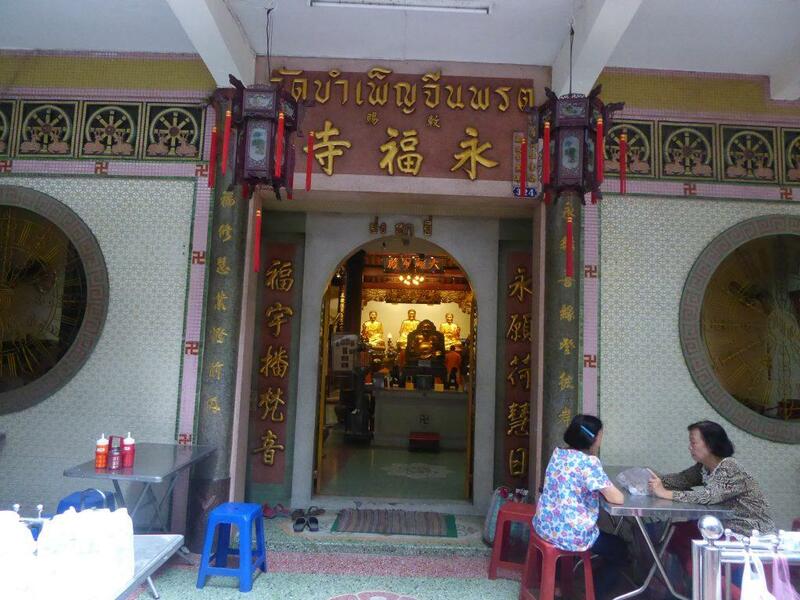 Wat Bampen Chine Prote is a Chinese Buddhist temple of the Mahayana sect in Bangkok’s Chinatown formerly known as Wat Yong Hok Yi. The temples current name was bestowed by King Chulalongkorn (Rama V) who donated the name plaque that is displayed above the front entrance. The temple dates back to the early Rattanakosin period and is one of the oldest Chinese monasteries in Thailand as well as one of the smallest temples in Thailand. 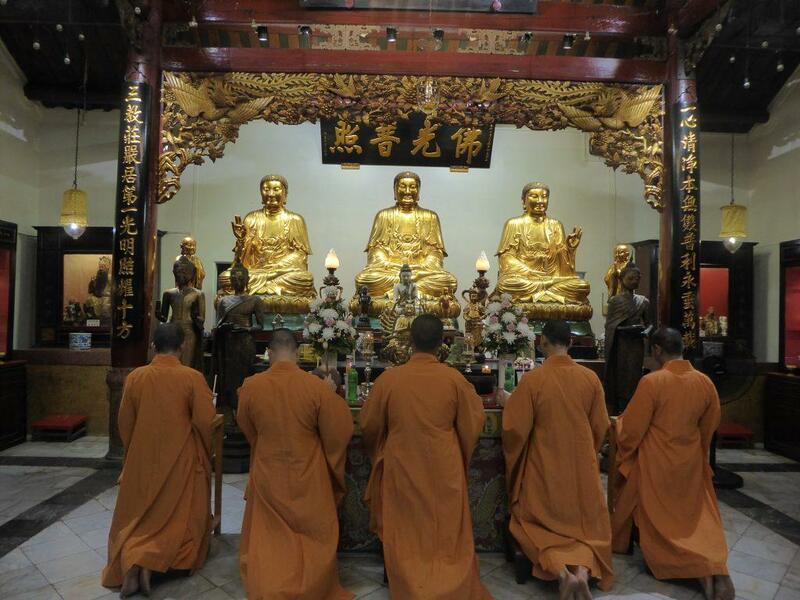 The temple is built in a Chinese architectural style and has Chinese monks. 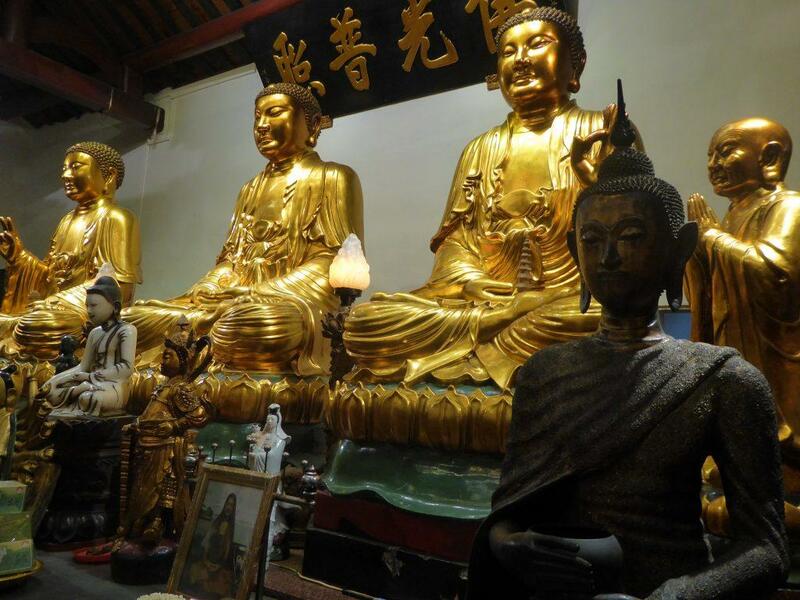 There are several important Buddha images inside including Phra Sangkatchai Phra Sri Arayamettri who is a symbol of prosperity, Phra Sakantha Bodhisat who is a disciplinarian of all monks and Sam Po Huk who is the Lord Buddha in three parts. 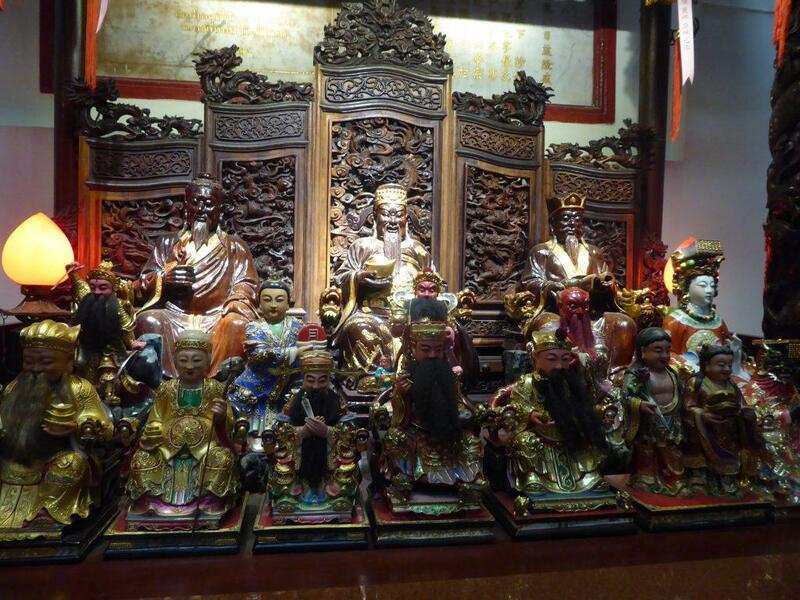 Other important objects in the temple are the Eighteen Arahans (disciples) which are made from synthetic paper. 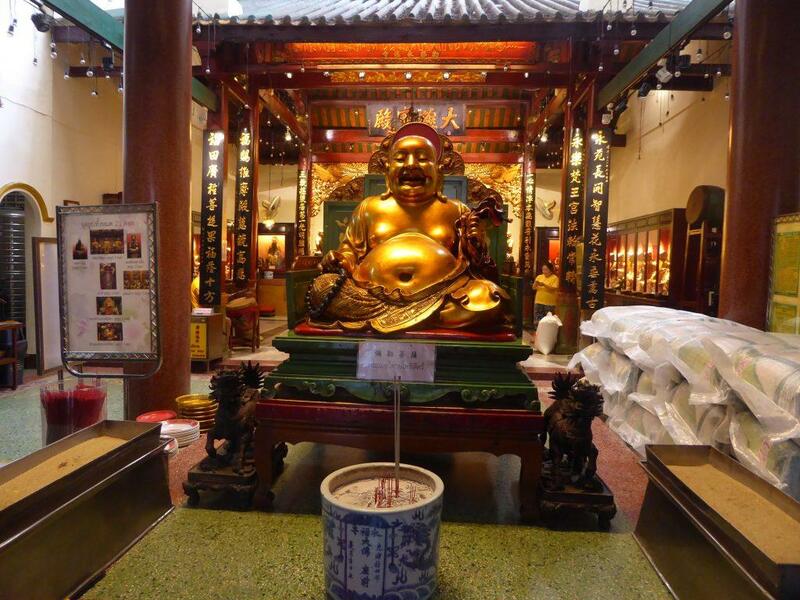 The temple is not well known to tourists but is well worth visiting if you touring Chinatown. 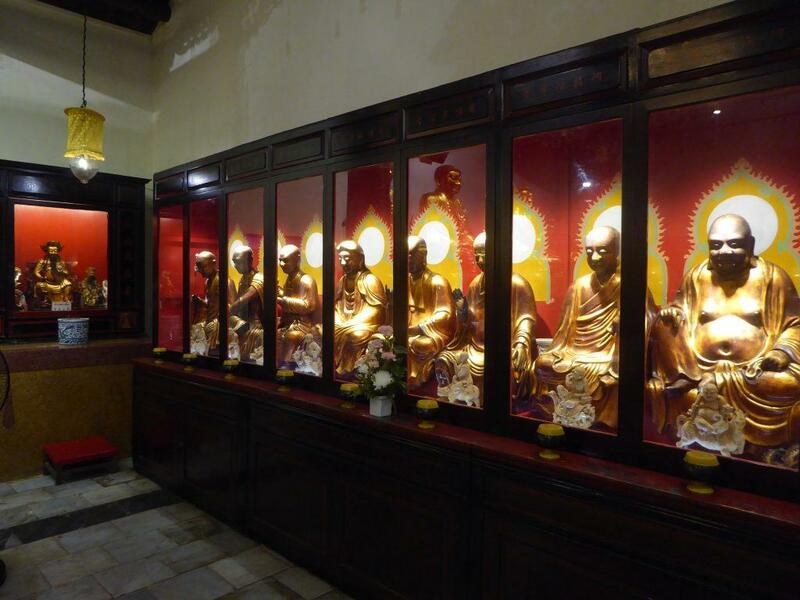 The temple is open for visitors from 06.00-17.00 daily. Location: 324 Soi 8, Yaowarat Road, Yaowarat, Bangkok. Getting There: Chao Phraya Express Boat to Ratchawong Pier. Walk up Ratchawong Road from the pier, turn right onto Yaowarat Road at the intersection. Cross the road and the temple is on Soi 8. Bus: Numbers 1, 4, 7, 21, 25, 40 can be taken from the stop outside MRT Hualamphong (exit 1).